Year-long curriculum designed to teach eight core principles of discipleship. 76 completely downloadable and easy-to-use lessons. Includes parent guides, media and graphics and experiential activities. 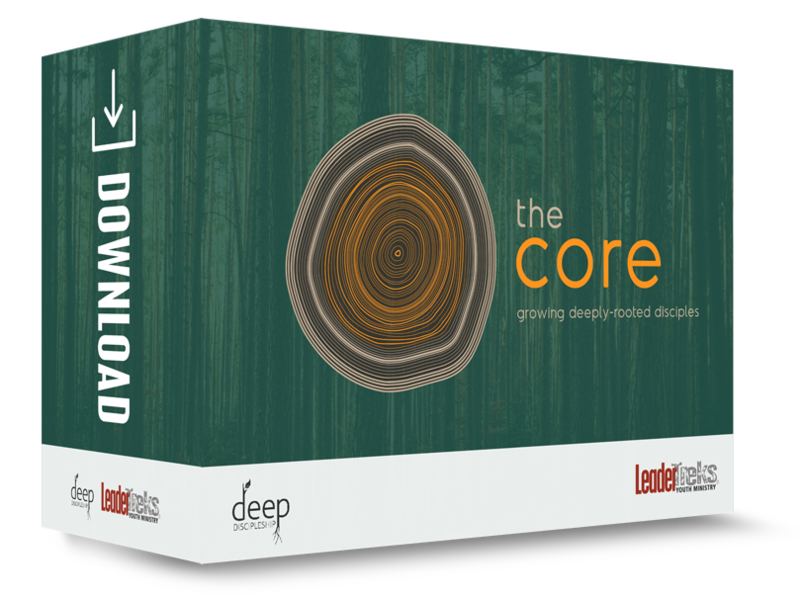 The Core is a year-long, fully downloadable curriculum designed to help students grow deep roots of faith. It’s an easy-to-use resource that teaches eight core principles of discipleship through Bible study lessons. Each lesson builds on the last to keep discipleship at the center of your student ministry. Week after week you will teach solid Biblical truth paired with engaging experiences that encourage students to exercise their growing faith. Lessons in The Core are divided into 8 “Roots” (or principles) of discipleship. Each Root has its own theme, animated video, lessons, and even a series of Bonus Sermons/Large Group Talks for ministries that meet in multiple contexts. Each lesson utilizes these key elements: A Bible study, modern day examples, discussion questions, an experiential activity, a focus on clear life application, and additional illustrations or object lessons. How can I use The Core? Each of the 8 principles (or “roots”) of discipleship provides you with 5 lessons as well as 4 extra Bonus Sermons (or Large Group Talks), making it a perfect fit for Youth Group, Sunday Morning, Small Group, or Discipleship Ministry. And since the lessons are divided into 5-lesson series, they are great for events and retreats as well! Check out the Scope & Sequence that gives you the entire overview of The Core and a suggested overall sequence.